Since it’s launch in 2007 Wise Security Services has endeavoured to provided a second to none, bespoke services for events large and small predominantly in greater London and the Home Counties. Working with Blue Chip organisations, Production specialists and Top Venues WSSL is recognised throughout the Industry as a market leader and the ‘one to get’ Company for all Crowd Safety and Security needs. Thanks to our highly professional, dedicated and personal approach to our clients’ needs, we have built a strong and respected reputation in safety, security, training and facilities management. 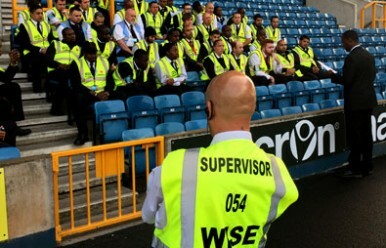 Formed in 2007, Wise Security Services was the natural progression for Managing Director James Wise, who had enjoyed more than twenty years’ experience in the stewarding and security industry. 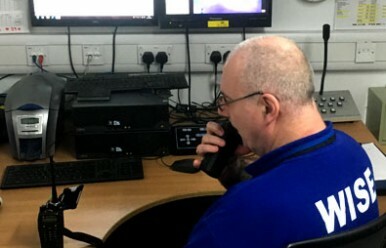 Working alongside a dedicated team, including his wife Leeanne and father Terry – himself an influential figure in the world of security for more than three decades – James has overseen some of the largest and most high-profile events and venues in Great Britain. And that is the key to our strong standing in the security sector – an approachable management team that has established a wealth of experience supported by highly-motivated staff, all of whom have been fully-trained and vetted by the Wise Security Approved Training Centre. Our strong reputation in stewarding and security has been rewarded with Approved Accreditation status with creditable awarding bodies as well as our affiliation with a host of key professional associations and organisations. At Wise Security Services, our dedicated approach to our clients runs right through the core of company, while our high expectations inspires staff to deliver a truly reliable, punctual and professional service at all times. Our committed recruitment, training, bookings and administrative teams work together to ensure that, from the moment new recruits join Wise Security Services, they follow our policies and procedures and demonstrate the highest of standards while representing our company. Your priorities are our priorities and at Wise Security Services, we will work closely with you to establish the most appropriate measures to ensure safety and security at your event or venue. We have vast experience of working at a wide range of arenas, stadiums, sporting events, concerts and exhibitions, which means there are very few situations we have not had to face. "The dedication, support and high level of service provided by your team season by season reflects the postive outcome in Millwall striving for a Safe & Enjoyable environment at all times"